HotSoft 8 is a versatile and complete Property Management System suitable for all kinds of hospitality facilities — from small to large scale hotel chains. With its fully integrable modular design we can scale HotSoft 8 to suit your business requirements. 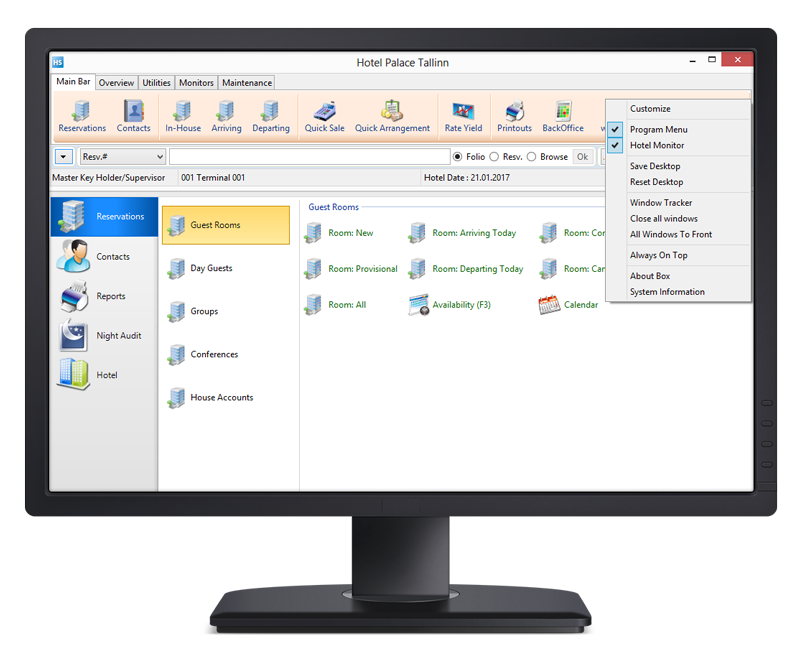 HotSoft 8 comprises of a main access bar which acts as a home screen with tabs and buttons that link to multiple functions and browse screens.The various functions and features within HotSoft are displayed within windows and browse screens which are accessible from the menu bars and buttons. HotSoft 8 provides a detailed breakdown of the booking statistics, displaying information about the availability and reservations by rooms and guests. 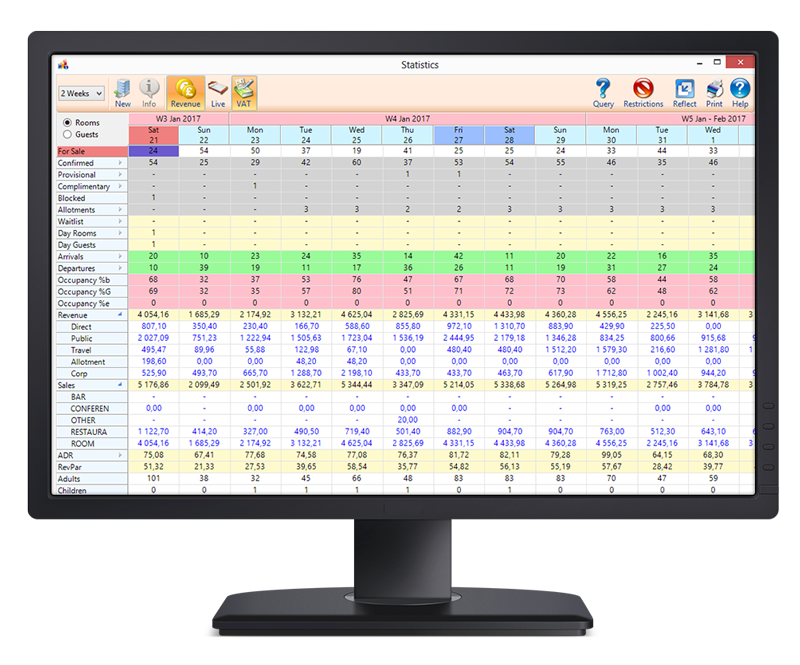 Users can view between one week and a month of statistics in the window at any time. 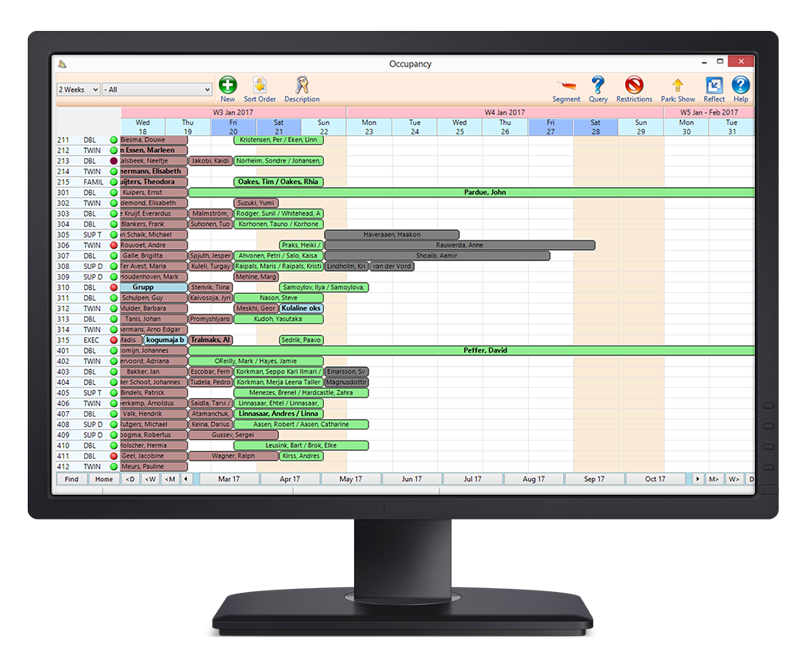 HotSoft 8 provides a view of the past, present and forecasted occupancy for periods of up to four weeks at a time. Users can make new reservations from this screen, park and move reservations, as well as view blocked rooms, conferences and group bookings.